Editing pictures is a hot topic these days. Whether its companies like Target editing models to look thinner or Old Navy giving their plus sized mannequins thigh gaps, it seems like everyone is doing it. I don't mind a little smoothing here and there, honestly. I understand that these are ads first and foremost. They have to look perfect. But how far is too far? Mascara ads use falsies and photoshop to make the product look more effective, which is just plain dishonest in my opinion. Beauty bloggers and makeup artists edit the hell out of their pictures, removing pores, hairs, and any semblance of skin texture. Is it honest? No. Is it a little creepy? Yeah, I honestly think so. I am nearly 34 years old. I've got visible pores, crows feet, and weird textures to my face. The temptation to put a "perfect" face out to the world is strong, but I can't bring myself to do it. I want to look like me. I want to be able to see the pictures I post here and be proud of them...and while I may not be proud of my wrinkles...I earned them. They are what give my face character. I also want to be able to speak truthfully about the products I review, and show honest pictures. I do edit my pictures in photoshop, but only because a) that is what I have, b) I only crop and edit lighting, and c) I am too lazy to learn anything else. But I refuse to "smooth" my face, because that's not my reality. Guess what? I spent a lot of time in the sun as a kid, and my nose is scarred from a thousand mini sunburns. My forehead has wrinkles. I have peach fuzz on my cheeks. That is me. I'm not perfect, and no one else is either. 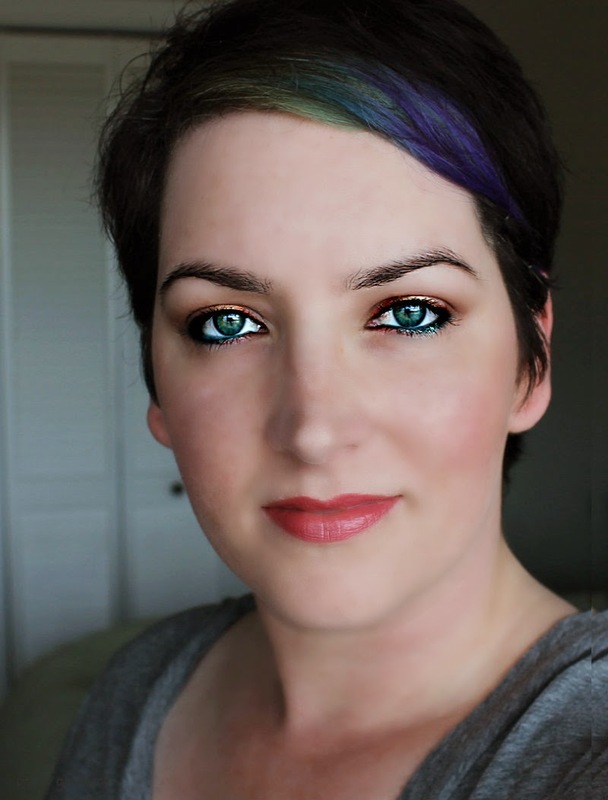 So I decided to use a couple of online "beauty" editors to tinker with my face to help illustrate my point. A "perfect" face is just...well, creepy. It ain't perfect. You can see my wonky brows, the texture issues on my nose, and wrinkles across my forehead. I can see the redness in my eyes from my superawesome "dry eye". But its me. I really look like this (on occasion. This was a good face day). I hardly recognize this face. All hint of "skin" is gone. I look like a damned mannequin. My face is thinner (which, OK...I don't hate that part), my brows are darker, my eyes are brighter, all my wrinkles are gone. I supposedly removed "30 years" from my face (which would make me three.) Under normal circumstances, I would never post a picture like this. It looks too flawless and is completely unrealistic. This one is obviously not geared towards western beauty ideals. It offers whitening and eye enlargers, which is more common in Asia than the US and Europe. It gives me a creepy, I might eat your soul kind of look. I don't think any human looks like this, nor should they. "Eye brightening" is a dangerous thing. It makes your eyes whiter, but unnaturally so. I look like I stepped right off a diaper box (have you ever seen those creepy babies?) It brought out too much of the eye makeup I was wearing, and made me look like those creepy saints pictures that everyones grandmother used to have. I'm sure that people with actual skills can edit a picture and finish with much less scary results. However, my point here was to show that an unedited, normal human head is much better than any computer generated version of "perfect" that one could create. Don't be afraid of your face. So what if you don't look like the model in the makeup ad? You know what, she doesn't look like that either. <3 Thank you for the honesty. I love the natural look. I don't understand all the editing. Makeup alone can do some quasi-miraculous stuff. Maybe I'm weird, but I think it it can't be fixed with makeup or duct tape...it doesnt need fixing. 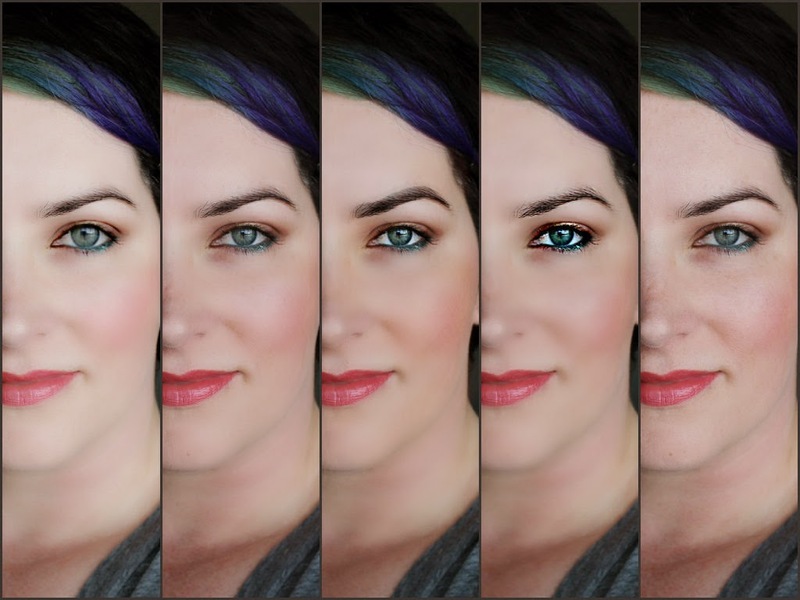 Photo editing in beauty blogs drives me crazy! Especially with skincare. Like, okay, you're saying that your skin was brighter and more even after a week but I can't really tell what the product did because you've brightened and evened out your skin in Photoshop! exactly! One of the things that bugs me about blogger is how the pictures end up looking a bit...smooth once they post. I'm pretty sure that they get compressed, and I may start using a different file type for pictures of my head. 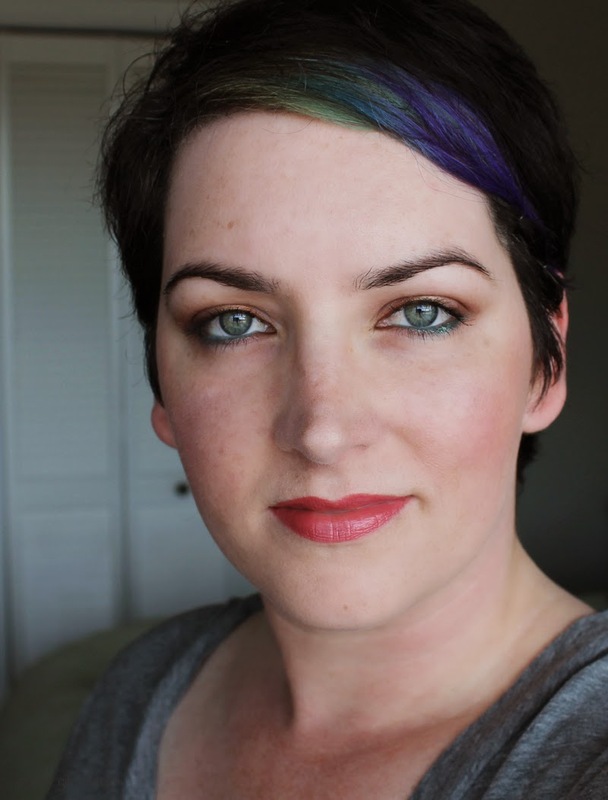 I *like* that my face looks smoother, but the point of my posts isn't vanity (necessarily). Thanks for posting this! I've only ever edited for brightness and correcting lighting with certain polishes... I think my results would be even scarier than yours! I like that PGS is real and down to earth... It makes you so much more relatable!!! :D For 99% of the polish shots (nowadays) I don't even tinker with the lighting anymore (omg I love my new camera!) though I have been cooling the temperature of the "above the jump" pictures. I love your natural face, Nichole. No editing needed! awww <3 thats why I keep you around! This is a brilliant post, thank you for it. youre very welcome. I think its important that women love the faces they have, especially these young women. How crushing will it be to look at an edited-to-hell picture of your 18yo self when you are 50 and think that it was anywhere near reality? Such a good article! I agree with you and I personally never edit my photos beyond a little bit of colour correction, and I feel like that's all the editing photos really need. Your unedited shot is by far the best out of the bunch. Oh Hanny, as though you needed any edited ever! Thank you though. I waffled about posting this for at least a month. I'm glad to know I'm not in the minority. Great post! and you are absolutely beautiful just the way you are! Whilst photo Photo Retouching ambiguous, it is literally any tool or technique used to make an image clearer or more enhanced. So each time you use a phone app to change the brightness of an image, or contrast or add a filter to your image that is retouching. Yes, it is "Editing pictures is a hot topic these days" and you have also written a hot article on this topic. A Photo retouching service company will get helps form your article.